A Bunk-Bed is a wonderful space-saving piece of furniture. The Alaska Futon Bunk however, both improves and upgrades the simple Bunk-Bed. With space for a double-mattress on the lower bunk, three can comfortably sleep within the space of a regular two-person bed. The bottom bunk however can also adjust and become a sofa, combining two pieces of furniture into one. Perfect for children's rooms of even in a Guest room for a busy household. 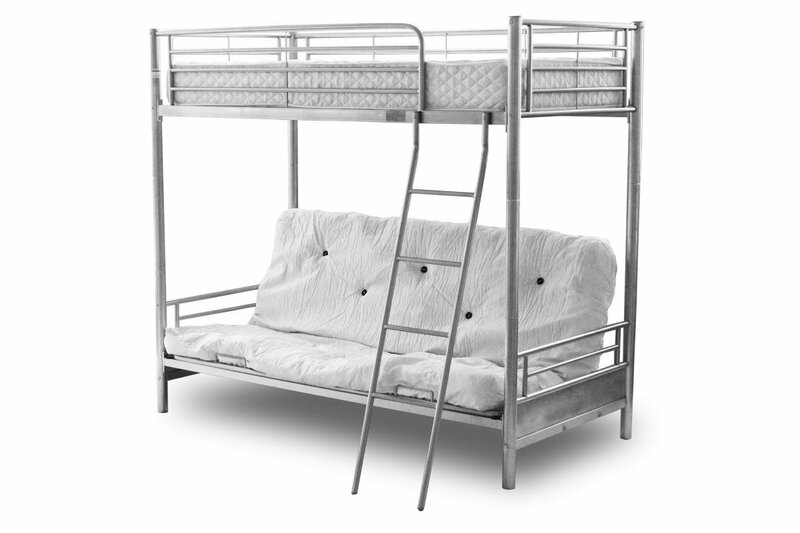 This Bunk-Bed is a versatile and practical addition to any household whilst remaining simple and classic.